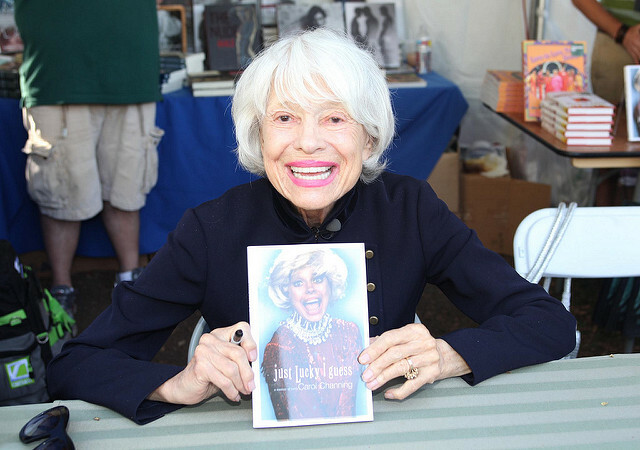 Carol Channing the legendary “Hello Dolly” actress died on Tuesday, Jan. 15, 2019, at 12:31 A.M. PT. She was 97 years old. The sad news was confirmed by the actress’ long term publicist, B. Harlan Boll. He wrote that Channing died from natural causes at her home in Rancho Mirage, California. He added that he is saddened and his heart is breaking to have to announce that Channing died. It was difficult to see the final curtain go down on a woman who had been part of more than a third of his life. Channing was a Christian Scientist who only once missed a performance the thousands she performed in of “Hello Dolly!” In the 1970s Channing was diagnosed with ovarian cancer and still worked. Channing was an only child born in Seattle and moved to San Francisco as a child. While in school, she was a member of the high school debating team because she liked the attention. She claimed that her mother Adelaine introduced her to the theater and she immediately fell in love with it. Channing said her mother used to take her backstage of plays to hand out Christian Science pamphlets to the actors. Later in life, Channing said she always equated theater with the church. In her memoir, “Just Lucky I Guess,” released in 2002, the actress reported that when she was 16 years old, she was told that her paternal grandmother was African American. The star also verified in the documentary “Carol Channing: Larger Than Life” released in 2011 that her mother was Jewish. Channing dropped out of Vermont’s Bennington College and went to various booking offices in Los Angeles and New York, but was never picked up. While performing in “Lend An Ear,” author Anita Loos suggested she be cast in 1920 musical adaptation of “Gentleman Prefer Blondes” as the heroine Lorelei Lee. The show opened in 1949 and was a hit. Channing’s theme song “Diamonds Are A Girl’s Best Friend” came from that musical. Channing performed in the 1964 show “The Matchmaker” two months after the assassination of John F. Kennedy. The music by Jerry Herman was cheerful and what the country needed at the time. She will forever be known for her role in “Hello Dolly!” in which she starred until her last performance in January 1996. The actress retired to California with her fourth husband, Harry Kullijian, her childhood sweetheart. She married Kullijian when she was 82. Her three previous marriages ended in divorce. In 2011, Kullijian died. Channing has one son, Chan Lowe who she had from her second marriage to football player Alexander Carson. One Response to "Carol Channing Broadway Star of ‘Hello Dolly!’ Dies at 97"